On Thursday, October 12th while the Hawthorne Fire Department was out at local schools involved in the Fire Prevention Education program. An alarm was called in for a light fixtures fire in a 2nd floor bathroom at 10 Lee Ave. Arriving Hawthorne companies from Company 4, Tower 2 and Rescue reported a working fire with smoke showing. 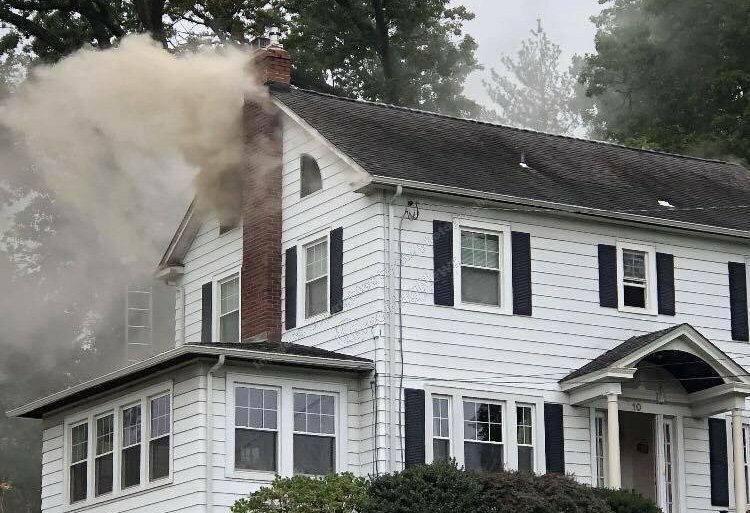 The fire located in the 2nd floor ceilings had already spread into the attic as companies began to make entry. Asst. 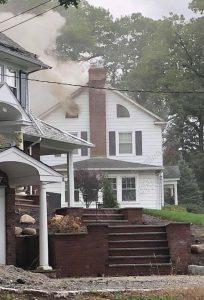 Chief Longo requested a 2nd alarm to be transmitted and Wyckoff Fire Department responded to the scene with an engine. 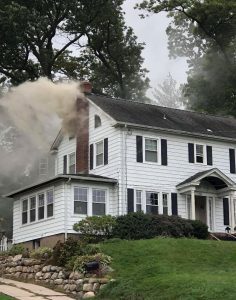 Crews were assigned to perform primary search, roof ventilation and ladder the building, while additional crews were put to work operating hose lines to control the fire. Within an hour the fire was knocked down. No injuries were reported. 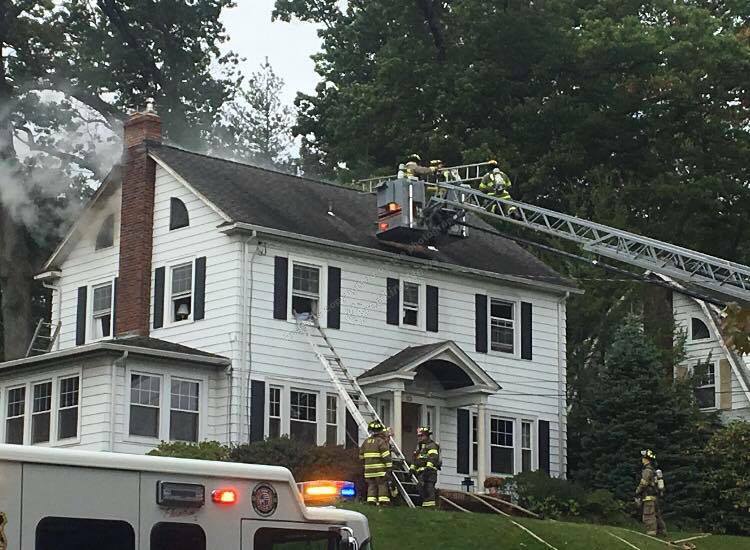 Great job by all members, mutual aid companies and our ladies auxiliary for their assistance.